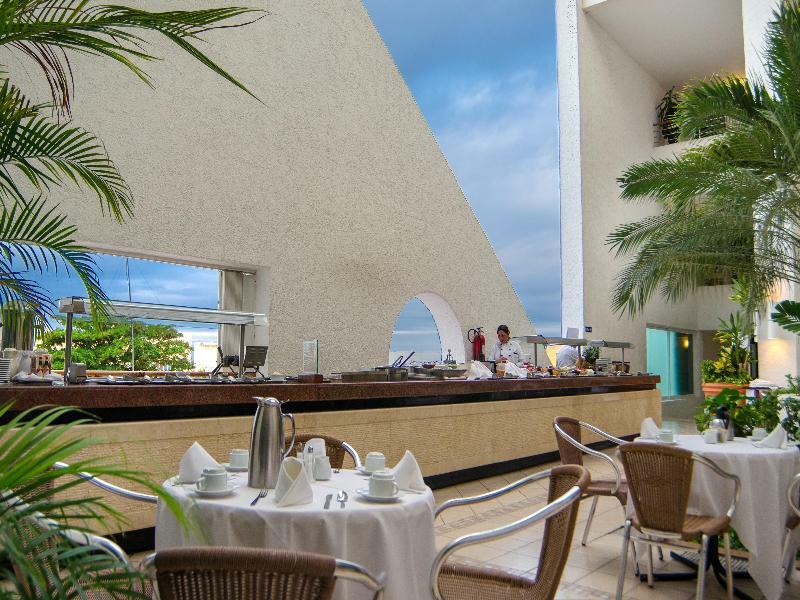 If there is a more relaxing island paradise than Hotel Casa Mexicana Cozumel it has yet to be found. Located directly on the Caribbean Sea in the heart of downtown Cozumel on Rafael E. Melgar Avenue, we offer award-winning boutique accommodations a short walk from vibrant shopping, attractions and restaurants.Guests arriving at the hotel find themselves in a bright, colorful lobby buzzing with contemporary energy. Just outside, vacationers relax on the terrace overlooking the ocean or sip Margaritas in chaise lounges circling the pool. Your private retreat is one of 80 beautifully appointed rooms and suites, each with a balcony overlooking the ocean or the bustling streets of Cozumel. Kick off your shoes, relax and breathe in the crisp sea air.For family vacations, romantic getaways, unforgettable honeymoons and exhilarating diving adventures on the Mesoamerican Reef, Hotel Casa Mexicana Cozumel transports you to a place where you can feel truly isolated from the world – yet close to all that Cozumel has to offer.Feel the comfort of being at home. Hotel Casa Mexicana Cozumel's with 88 guest room are designed for unparalleled comfort and convenience. Each luxurious guest room is filled with natural light and furnished in a contemporary Mexican style accented with upscale furnishings. Offering a splash of local flavor, the headboards, desks and chairs are handmade in Yucatán by Mayan master artisans. Step onto your private balcony to enjoy uninterrupted views of the Caribbean Sea or the breathtaking sunsets over the charming Cozumel cityscape.On-Property Amenities: Complimentary buffet breakfast & WIFI, hairdryer, organic honey amenities, shower and bathtub, bathrobe, iron & ironing board, mini refrigerator, pillowtop beds, plush bedding, room service, air conditioning, flat-screen TV, cable channels, work desk and chair, electronic safety box, environmental program, pivate balconies, sliding glass doors-windows that open, blackout blinds.